The Dilby R. Dixon’s series follows a young boy named Dilby who deals with bullying and social awkwardness in elementary school and into junior high. Through his troubled and lonely years in school, Dilby realizes he’s not just an average boy. From his wild imagination and dreams, Dilby discovers that he has a special gift that allows him to travel to any world that he creates in his dreams, worlds that are real and only exist to people like Dilby. They call themselves Time Dreamers, and it’s what Dilby was born to be. As Dilby begins to explore his gifts, he will learn that his ability to time dream is more than just traveling to different worlds. His dreams will begin to teach him things about himself and more importantly they will show him who he really is and what he can really be. Dilby will become someone he thought he could never be and do things he never thought possible. Take the fantasy adventure and follow Dilby on his quest of self-discovery where he will emerge a hero and use his powers to change the world. Dilby R. Dixon was no ordinary 10-year-old boy. He was an outcast, the odd kid in school. Growing up as an only child, he had gotten accustomed to a life of solitude. In fact, he had no friends at all, which made him question whether or not he fit in with others in school or in this world. To occupy his time, Dilby turned to his wild imagination as he would dream of the most unbelievable places and have the most amazing adventures. From these dreams, he created a secret journal of weird words that he called, The DIlbonary, which he took everywhere he went, guarding it with his life. No one knew the Dilbonary existed, that was until the 6th grade when Riley Rogers, the school bully, got a hold of it, setting off a chain of events that would alter Dilby’s life forever. Then, just after his 11th Birthday, something extraordinary happened, leading him to embark on the biggest journey of his life and finding the truth behind who he really is. Dilby already knows he’s someone special having stood up to Riley Rogers, the school bully. He has also created The Dilbonary, a secret journal of weird words, traveled to many amazing worlds bringing back souvenirs, and he’s finally become a cool kid. 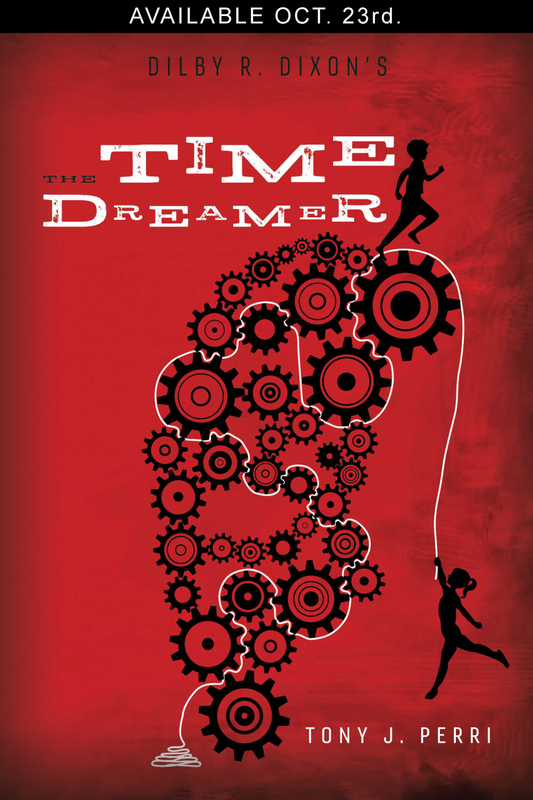 Filled with heroism, adventure, and magical worlds, The Time Dreamer is more than that it’s what Dilby was born to be. The second book in the Dilby R. Dixon’s series presents Dilby with all new challenges to face. Now Dilby will be brought to the ultimate world, to a city called Riseanfall, where all time dreamers go. In Riseanfall, Dilby will learn the truth of who he really is and what he can do with his special gifts he had been given. He will encounter a new cast of characters and a dog named Hopper who will help guide him on his journey of being a time dreamer. With new friends both at home and in Riseanfall, it’s hard for Dilby to know who he can trust. But when Dilby’s time at Goodwin Elementary school comes to an end at the height of his popularity, the Dilbonary gets stolen. Forced to confront another bully, Dilby enlist the help of his friends, Grace and George, as they devise a plan to do something drastic to get it back. Then, just before summer ends, Dilby’s dog, Hopper, goes missing. After finding a surprising clue, Dilby sets out on a mission back to Riseanfall where he’ll need more that just bravery and courage to get Hopper back and track down the person who took him.